By Xah Lee. Date: 2016-10-14 . Last updated: 2018-06-02 . 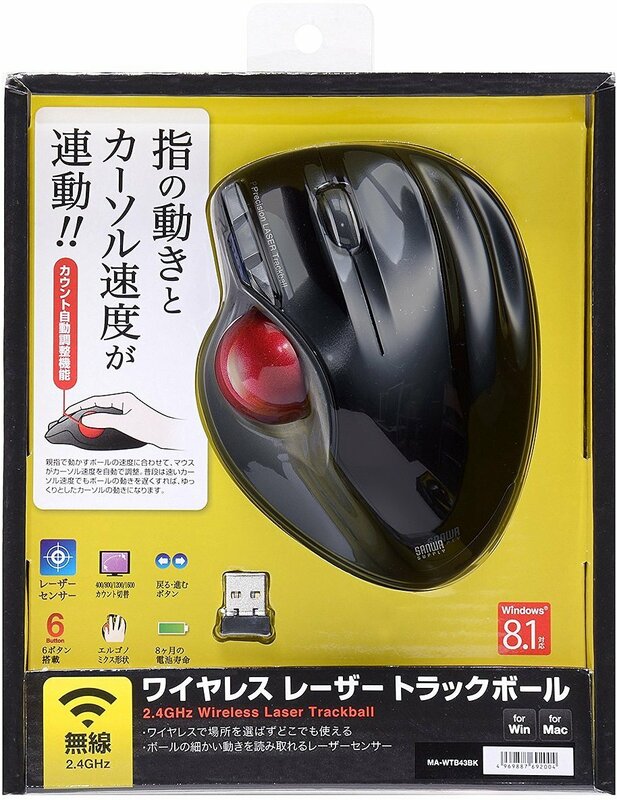 This one came out in 2016-01 , from Japan. 10m wireless range. 2 meters if on steel desk. 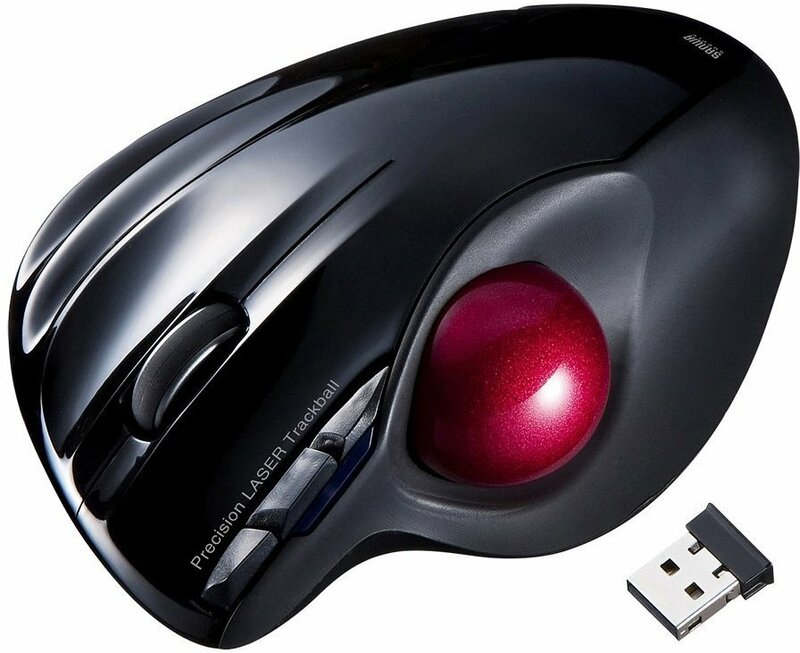 Vast majority of reviews on amazon are positive, saying this is better than the Logitech M570 Wireless Trackball. Normal Left button and right button, groved. Big scroll wheel. No tilt. There are 3 buttons on top left. 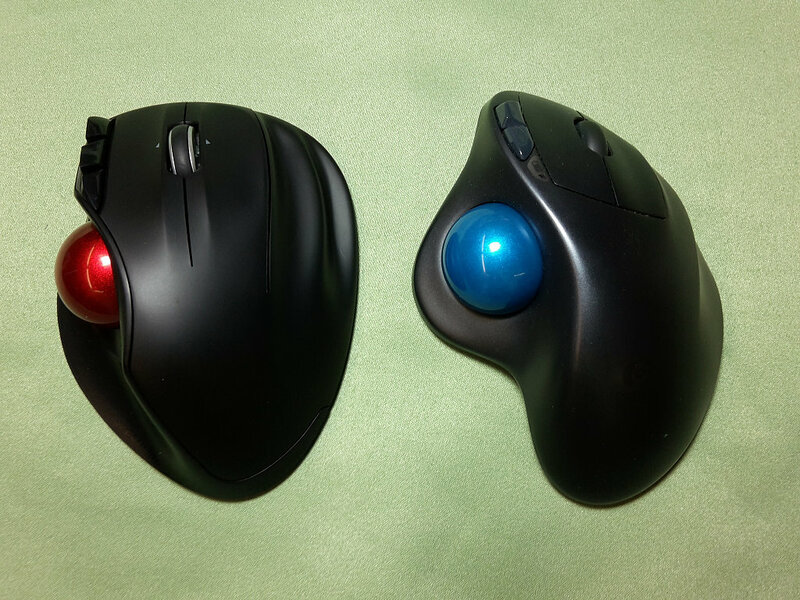 The two 2 buttons near the ball is browser forward and backward. The far-away button seems to be DPI switch. Yes. Works in Linux out of the box. No driver software needed. 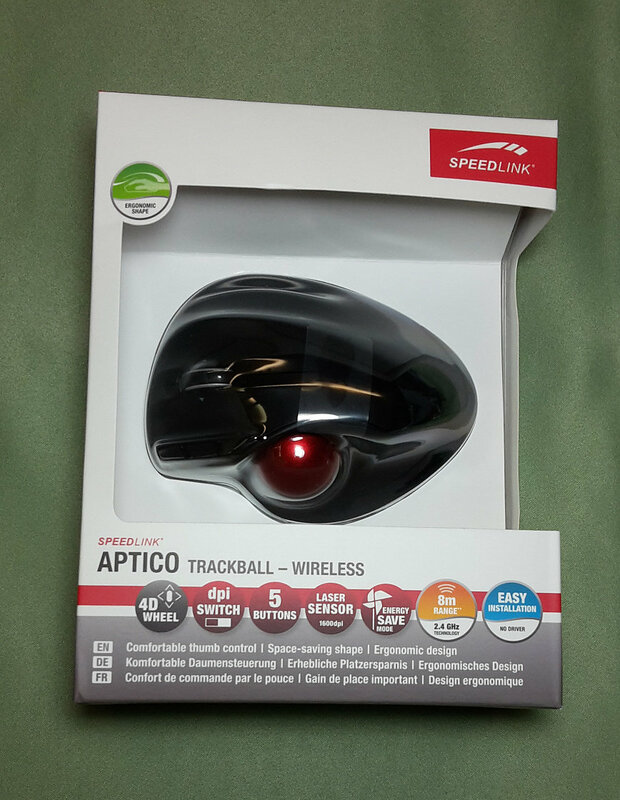 This seems to be rebranded in UK as Speedlink APTICO trackball.